Bryken has achieved a reputation amongst its customers for its unwavering commitment to quality and continuous improvement. We have been BS5750/ISO 9001 approved for over 25 years and constantly challenge ourselves through our Quality Management System to meet and exceed the most stringent quality standards possible. 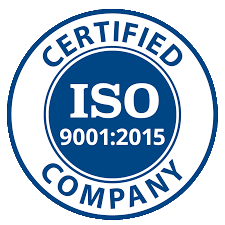 As an ISO 9001 accredited company, we give every customer exceptional service through the whole process. Our dedicated quality team utilises automotive quality tools to ensure defect prevention. Bryken’s APQP process enable completion of all PPAP requirements. Our internal management system tracks, traces and monitors the progress of every component within the production schedule ensuring batch traceability. We invest in cutting edge technologies as well as training our engineering and quality teams to ensure they are always knowledgeable with the very latest regulations, techniques and requirements. Quality equipment includes: 2 CMMs, 3 Shadow graphs, 2 endoscope cameras with 4mm minimum bore capacity, Talyrond machine, surface testers and a full range of industry standard plugs and gauges.